It is a fact that even surprises wine connoisseurs that the Free Hanseatic City of Bremen is one of the most important wine cities in Europe although, except for a short intermezzo during which the Archbishop of Bremen had planted a few wines on the Weser dikes, wine was never harvested in Bremen. Instead it was imported – and this on a large scale. By the middle of the 18th century almost 100 wine merchants were registered. They were all dealing in foreign wines, because Bremen had granted an exclusive licence for serving and retailing German wines already in 1342 to the (state owned) Bremer Ratskeller. On December 1, 1804 a certain Georg Heinrich Eggers and Johann Heinrich Franke declared together that the company of wine merchants they had founded would deal henceforth under the name of Eggers & Franke. Franke is born as son of a merchant family and was employed by a wine merchant. Eggers father is a wine merchant himself and had married into the business. Eggers & Franke can count themselves among the cities most important merchants. They import wine from Bordeaux, Málaga or Livorno and are also successfully dealing in Rum. Georg Julius Franke becomes a partner after the death of his mother. Under his leadership the company enjoys an unprecedented prime time. The name Eggers & Franke is soon becoming a synonym for selected rum and spirits specialities and the family members play an important role in social life. With Johann August Franke the third generation has assumed responsibility for the company. The grandson of the founders also has his seat in the Assembly of Citizen and the Chamber of Commerce. Through frequent stays abroad he knits valuable contacts with new business partners and opens up until then neglected business segmants. Georg Julius Franke dies after having served the company for almost 60 years. At his death he is a highly respected Bremen citizen, deacon of St. Peter cathedral, member of the Assembly of citizen and of the chamber of Commerce. His son Johann August becomes sole owner of the company. Meier modernises and renovates. Warehouse and production areas are finally equipped with electric light. However, the business does not become easier. Astronomic duties on imported goods and inflation are causing Eggers & Franke trouble. Already 52 people are on the pay roll. At the 125th anniversary three additional warehouses on the Weser front at Großenstraße are acquired. After the early death of Wilhelm Meier the company is lead by his wife Berta and his eldest son Carl Johann Meier. 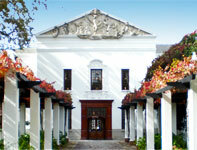 First contacts are being established with KWV, already then one of the largest wine producers of South Africa. At the heaviest bombing attack on Bremen all warehouse and office buildings were completely destroyed. Only stocks stored in the cellars were saved. Of Wilhelm Meier’s four sons only Carl and Martin come back from the war. Thanks to the foresight of Carl Meier the company survives. Before the allied troops marched in, he had the last casks of rum that were saved dug into the fields near Worpswede. With these stocks the new start succeeded. Eggers & Franke celebrate their 150th anniversary and a newly erected building with a large cellar is inaugurated. The “economic miracle” offers the possibility of an unexpected recovery. The portfolio of spirits is greatly extended. Together with the 1938 created brand “Robinson Rum” Cognac, Angostura Bitter, Calvados, Armagnac, Whisky and Gin complete the portfolio. When Carl Johann Meier died his son Wilhelm Friedrich Meier took over as sole partner and assured continuity. He had already been a partner of his father for more than 10 years. With the wine boom of the early eighties the centre of activity of the portfolio is shifting. The traditionally large assortment of French wines are supplemented by wines from Italy and Spain. Names that are today familiar to everybody owe their reputation also to the brand building contribution of Eggers & Franke. The long time supplier KWV becomes majority shareholder of Eggers & Franke, but the Meier Family continues to manage the business. Already four years ago Ruyter & Ast the Eggers & Franke mail order subsidiary and KWV had agreed to invest together to ensure better distribution of KWV wines in Germany. Wilhelm F. Meier hands over the management to his son Johann Christoph Meier. The company remains a family business in the best sense of the term, because two years later his brother Carl Stephan also joins the company. Eggers & Franke acquire the trading name of the more than 300 years old Bremen wine merchants Joh. Eggers Sohn & Co. 2004 the company is revived as supplier of individual “vintner wines” for the restaurant trade and the specialised wine trade. Eggers & Franke take over their long time Bremen competitor Reidemeister & Ulrichs and its mail-order company Ludwig von Kapff. The Bingen company A. Racke GmbH & Co. KG buys the capital majority of Eggers & Franke and brings in their important German business to the newly founded Racke- Eggers & Franke-Gruppe. 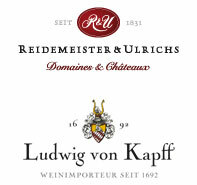 The Rüdesheim firm DC Gesellschaft für Weinimporte, which itself is born through the merger of DC, Frankhof Kellerei and wine suppliers is taken over and merged with the subsidiary Reidemeister & Ulrichs. At the end of 2009 the participating interests are again redistributed. The Meier Family buys the Racke shareholding and are again “Master in their own house”. The Eggers & Franke Group takes over Weinhaus Stratmann GmbH in Zeven. The company was founded in 1960 and operates as one of the leading wine merchants in Northern Germany seven wine shops. 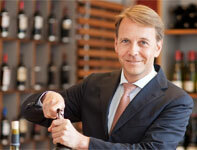 Stratmann also and supplies a number of franchise partner, specialised wine shops, restaurants and industrial customers. Under the roof of Eggers & Franke six specialised distribution companies address themselves to customers in the B2B and the B2C business. Among these are the private wine lover as well as the upper class restaurants, hotels, specialised wine trade and the food trade. With an annual sales volume of more than 20 million bottles the Eggers & Franke Group is one of the leading suppliers of quality wines and premium spirits in Germany.